As many of you know, my Reya is very treat motivated. When it comes to training, we have to always have treats that not only keep her motivated, but taste great. While she will eat just about anything we give her, we always know if she LOVES a treat based on how willing she is to listen to a command. If she loves a treat, she will do just about anything for it, including listen to commands she doesn’t always like (not chasing after poor kitties or birds in the backyard). Of course, it can’t just taste good but has to meet all of Mom and Dad’s nutritional requirements. To us, the best treats for her are the ones she loves but are very healthy. Unfortunately, meeting all of those needs is easier said than done. 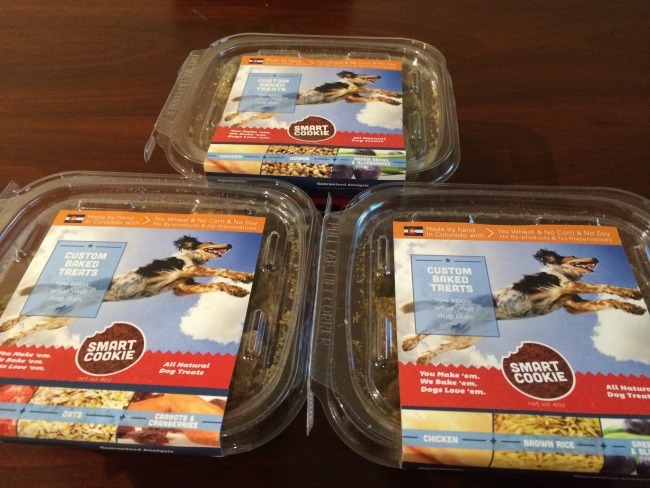 Recently, however, we found what made by the perfect solution – custom made treats from Smart Cookie Dog Treats! 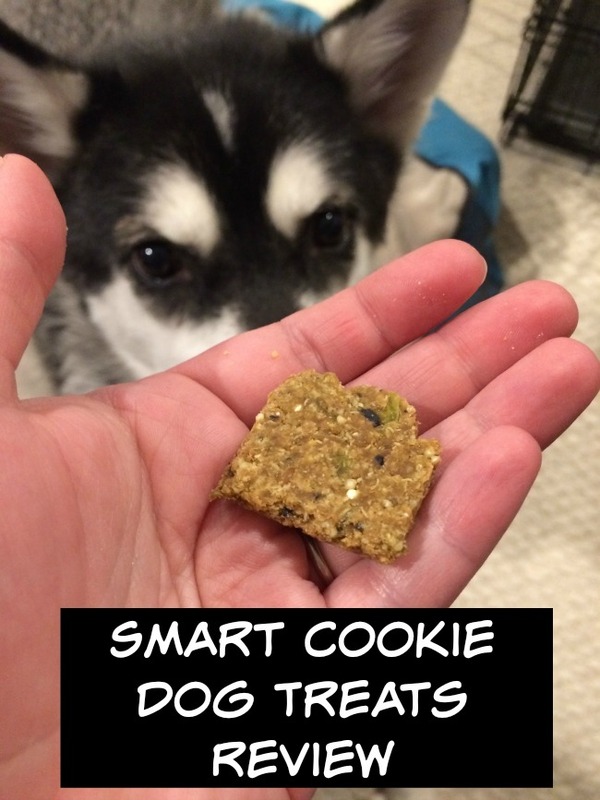 Smart Cookie Dog Treats: What is It? Looking for high quality custom treats that are perfect for even the pickiest of dogs? If so, we think you will love Smart Cookie Dog Treats. Based in Denver, Colorado, they believe that a dog’s diet should be custom tailored to a dog’s specific needs, lifestyle, health, and dietary restrictions while still being tasty. Using the best, natural ingredients, Smart Cookie Dog Treats are handmade and baked fresh when you make a custom order for your dog, giving you the freshest, most nutritious treats out there that your dog will love. Best of all, you can order them online, allowing you to get perfect treats without leaving the house. Who knew getting wholesome, homemade treats could be so easy? I can say, without a doubt, that these treats are right now Reya’s absolute favorite. From the moment she tried these treats, she has been obsessed with them. If she even sees the container, she comes to Daniel or me, barking and begging for another one. So far, her most favorite treats out of what I ordered are their Chicken, Quinoa, Green Bean, and Blueberry combination. Not only are they healthy, they smell good not just to her, but us as well. Training has also been a great deal of fun since we started using these treats since she’s motivated and eager to learn. It is also great that anytime I order I can mix and match different ingredients, allowing me to create new treats each time to keep Reya curious and happy. To say the least, we love Smart Cookie’s treats and are looking forward to getting more. Based on our own experience, we are delighted to give Smart Cookie Dog Treats an A+ rating! Want to purchase some of these awesome treats for your own dog? You can make your own custom baked dog treats at the Smart Cookie Dog Treats website! 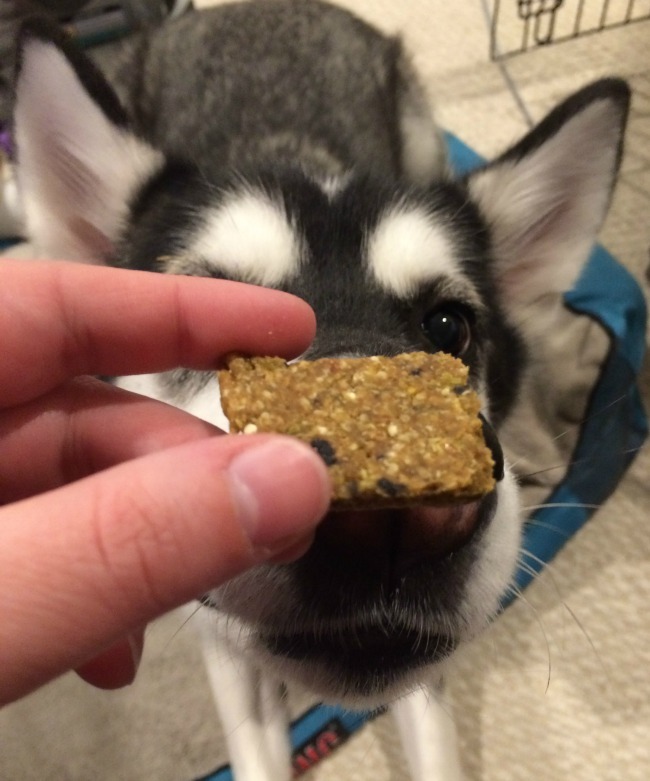 Once your dog tries these healthy treats we are certain they will be hooked! Want to learn more? Check out Smart Cookie Dog Treats on their Social Media channels! These look like great dog treats! So much nicer than regular dry biscuit type cookies. My pup can be picky at times, but I can tell he would love these! Those look and sound super tasty! Looks like a good product to try for my yappy little rescue dog. I recently found her stash of ALPO Variety Snaps. Assuming she gave them 2 paws down, lol! these kind of look like people treats! These sound like a great treat! I like the quality ingredients used in them and the fact that your pup loves them is a good indicator mine would too. Never heard of these, thanks for the introduction! These look really great.Thank you. These sound really healthy for my dogs I am going to try them! My dogs can be very picky about their treats! These look like wonderful, healthy treat – not loaded with just flaoring and empty calories.. My Gold Retriever was SO treat-driven, we could get her to obey any command with treats as a reward. My next dog is going to have Smart Cookie Treats! I’ve never heard of these before but they sound like great treats, and obviously Reya does, too, which is most important! 🙂 Thanks for sharing! Thank you for the helpful review of Smart Cookie dog treats. I have liked their facebook page and I will be looking into buying some of their treats for my rescue dogs. Your dog is EYING that cookie, LOL. Thanks for sharing! These are great! I love all natural treats for the fur babies. I believe your statements about doggy treats, but we had a pureblood golden retriever who lived 16 1/2 years (5th oldest recorded in North America for purbeloods) by never giving him any treats or human scraps even from the table. He overcame a lot..including surgery to remove jowl cancer. I have two dogs and they both have different dietary needs. I love that I can customize their treats just for them! Unfortunately my dog is finicky and he doesn’t like these. Of course he thinks he’s a cat and wants cat food instead of dog food. I would love to get Poagie to try these.He is crazy about treats and i tried to make homemade treats for him and they molded in the ziploc bag. These sound great, I am looking for new treats to do some training. After losing my lab/German Shepard mix of 11 yrs, my sister gave me a little shizu/chihuahua mix and boy can he be picky about treats! But I’d love to have him try these! They certainly look more delicious than store bought biscuits. My dogs are pretty picky when it comes to treats so I would love to have them taste these! I think that my dog would love them. I like that they are made to order and all natural. Looks like a great brand! I know my pug baby would love these tasty treats. I love that not only are these healthy and natural, but that the company taylors the treats to your dogs’ specific needs. I love finding healthy treats for my pugs. They just had green beans for the first time and love them. I love the idea of these treats and sure they would be a great addition to my treat routine. My Boston Bull Terrier has zero interest in food with grains. However, my APBT/American Bulldog cross will eat anything that holds still long enough so these are for her. These look like some of my granola bars I eat. I like that they offer a combination of fruits and veggies. My dogs love green beans, blueberries and strawberries. I have been using healthier food for my dogs and the difference in their eyes, teeth and coats is amazing.